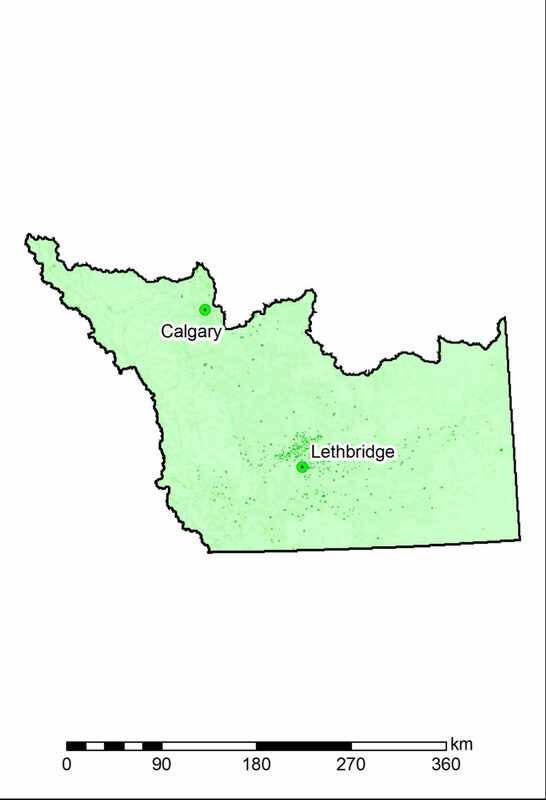 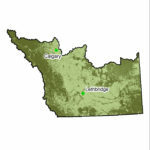 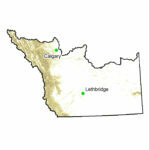 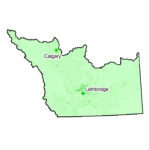 The South Saskatchewan region is Alberta’s most populated, containing its largest city of Calgary, as well as the cities of Lethbridge and Medicine Hat. 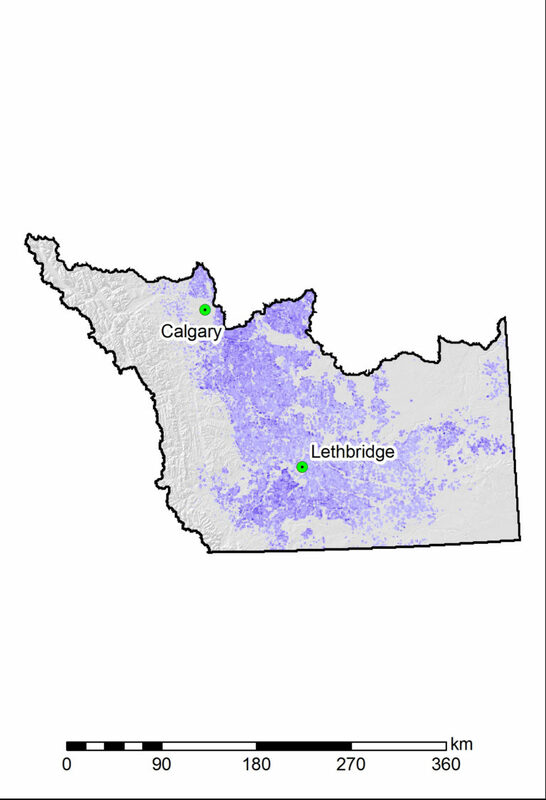 The western edge of the region consists of the Rocky Mountains, much of it in protected areas, including Banff National Park in the northwest corner, and Waterton Lakes National Park in the southwest corner bordering Montana. The central and eastern portions of the region are dominated by agriculture, including much of the province’s irrigated land. 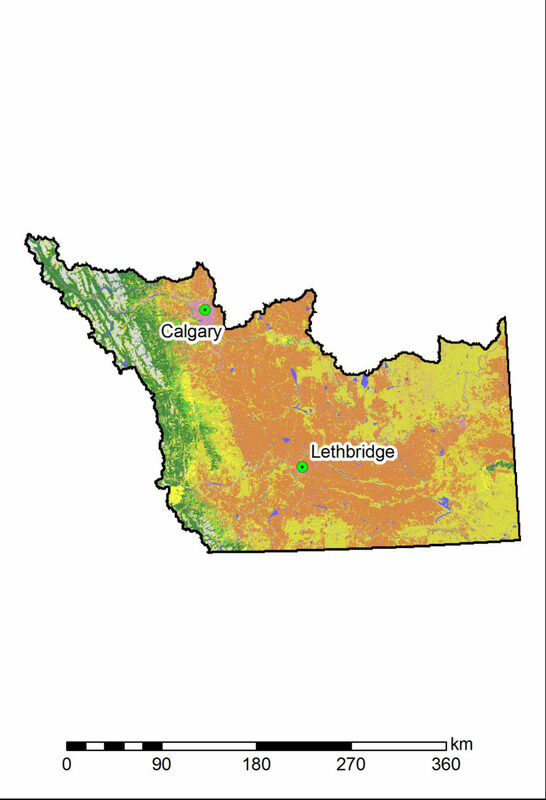 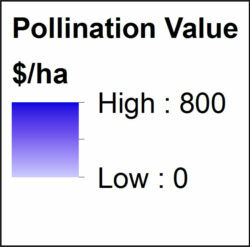 The eastern and southern parts also include large amounts of native rangeland. 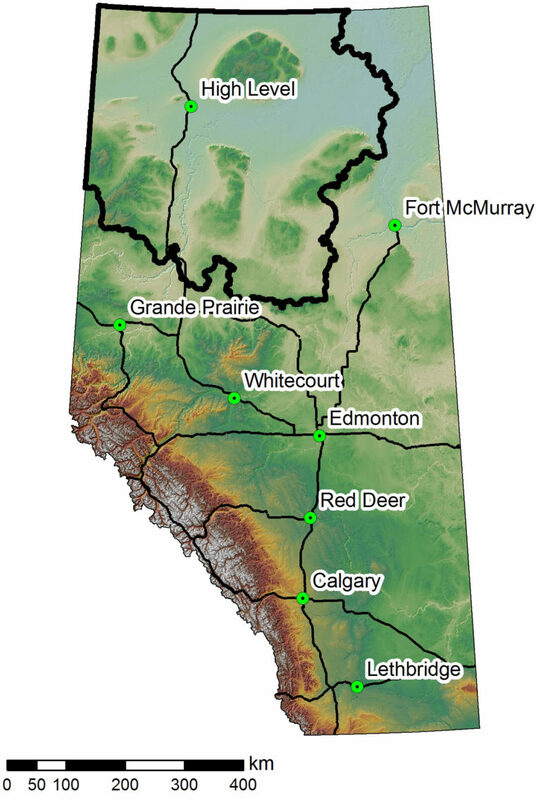 The Milk River Basin, a tributary of the Missouri River, lies at the southern edge of the region. 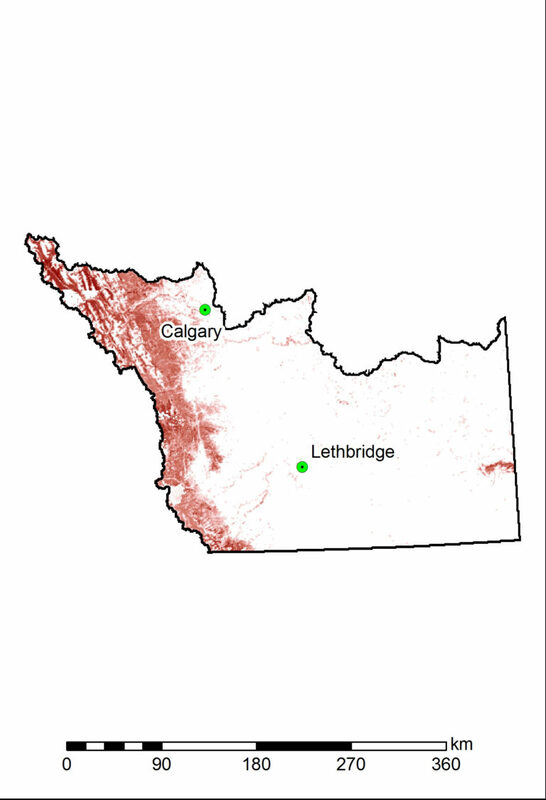 This map shows the distribution of carbon stored in forested areas, both above- and below ground. 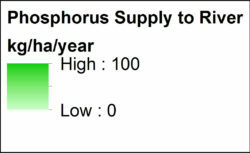 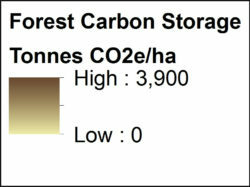 Forests sequester carbon from the atmosphere at different rates based on their age and the forest type. 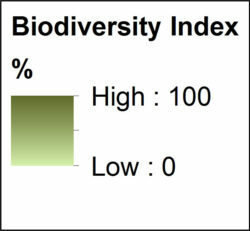 While the amount of carbon stored in dynamic forest ecosystems will always be in flux, large quantities carbon may be quickly removed through major disturbances such as forest fires and timber harvest. 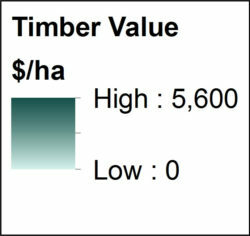 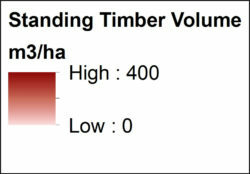 In the case of fire, carbon is released directly to the atmosphere; in contrast, timber harvest releases some carbon, but much is also stored for a period of time in forest products such as houses, furniture, or paper. This map is a baseline for understanding potential future changes in carbon storage.